Philippe Aïche began his violin studies at the age of eight at his hometown conservatory, in Antony near Paris. After receiving his gold medal (first prize) at the regional conservatory in Versailles (class of Antoine Goulard), he entered the Paris Conservatory (C.N.S.M) in 1979, studying the violin with Christian Ferras and chamber music with Jean Hubeau as well as harmony and counterpoint in Roger Boutry and Jean-Paul Holstein’s respective classes. In 1983, he was awarded a first prize in violin and in chamber music allowing him to pursue his formal education in violin with Michèle Auclair and in chamber music with at first Jean Mouillère and then with Roland Pidoux. He participated in many master classes et has benefited from the advice of great virtuosos such as Salvatore Accardo, Menahem Pressler, members of the Amadeus Quartet and Janos Starker. In 1985, he became a member of the Orchestre de Paris where he currently holds the position of concert meister. This prestigious position has allowed him to perform with such renowned conductors as Solti, Giulini, Bernstein, Maazel, Sawallisch, and Jochum among many others. At the same time, he has played regularly as a soloist in France and abroad (Germany, Italy, Switzerland, Romania, the U.S.A.), namely with the Orchestre de Paris, the Orchestre de Picardie, the Orchestre de chambre d’Auvergne led by conductors Louis Langrée, Klaus-Peter Flor, Semyon Bychkov and Yutaka Sado. 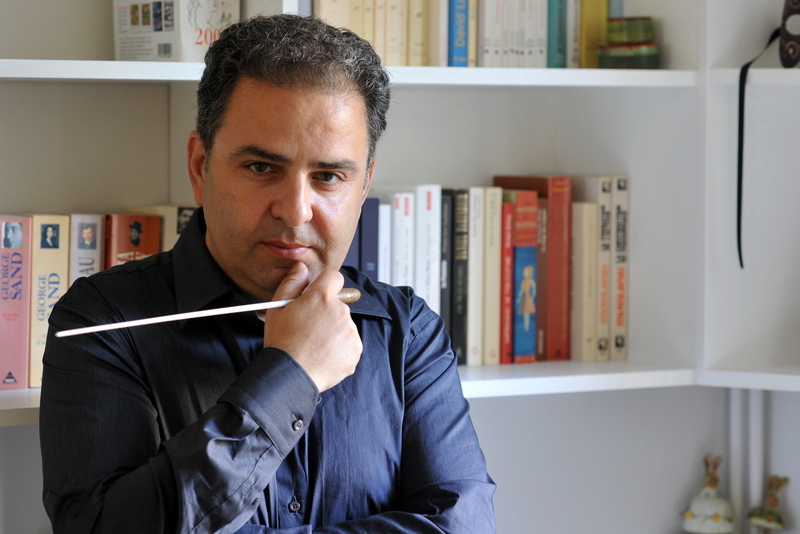 In February 1997, he premiered Eric Tanguy’s Second Violin Concerto (work dedicated to M. Aïche) as soloist with the Orchestre de Paris directed by Semyon Bychkov. In November 1999, he interpreted Brahms’ Concerto for Violin and Cello with Emmanuel Gaugué and the Orchestre de Paris conducted by Wolfgang Sawallisch and recently, performed Bernstein’s Serenade at the Théâtre du Chatelet led by Yutaka Sado. Chamber music has always held an essential place in Philippe Aïche’s musical activities, performing with such talented artists as Emmanuel Strosser, André Cazalet, Michel Arrignon, Pierre-Laurent Aimard, Pascal Moraguès, Wolfgang Sawallisch, Christoph Eschenbach. Together with the other members of the Quatuor Kandinsky, string quartet with piano formed in 1988, he has participated in three recordings for FNAC Music, dedicated to works by Brahms, Chausson and Lekeu, Saint-Saëns and Castillon. Philippe Aïche is a laureate of the “Tibor Varga” (Sion) and “Lipizer” (Italy) International Violin Competitions and with the Quatuor Kandinsky, International Chamber Music Competitions in Florence and in Melbourne. 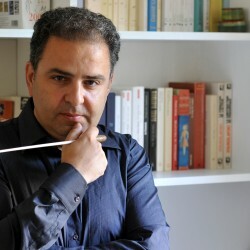 Very early in his soloist’s career, Mr. Aïche has shown enthusiasm for conducting and has had the opportunity to approach a diverse repertoire ranging from small ensembles (A. Schönberg’s Pierrot lunaire, Igor Stravinsky’s The Soldier’s Tale and Ebony Concerto, F. Poulenc’s Bal masqué, etc. ), up to symphonic orchestras (symphonies by Beethoven, Schubert, Mozart, etc.). In 2001, the Orchestre de Paris allowed him the occasion of directing Beethoven’s Ninth Symphony for the “fête de la musique” at the French Prime Minister’s residence, Hôtel Matignon, in Paris. Since September 2001, Philippe Aïche has taught violin at the Regional Paris Conservatory (Conservatoire Supérieur de Paris) and since September 2003, has also been assistant to Régis Pasquier at the Paris Conservatory (C.N.S.M).